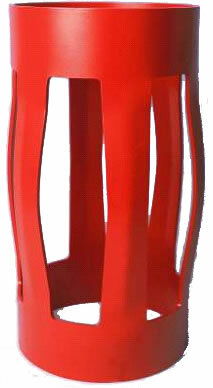 ONE-PIECE CENTRALIZER | www.vertechs.com | Vertechs Oil & Gas Technology Co. Revolutionary centralizer design for highly deviated, horizontal ERD wells. One-piece integral unit has no weak point. It’s extremely robust and also tolerant to under gauge hole conditions. One-piece integral unit combined with zero start and running force. High standoff ratio (+85%) combined with high restoring force. Straight blade to achieve maximum slide effect. Designed to compress fully in tight spots. Reduces both torque and drag. Sizes range from 2-7/8" to 20".